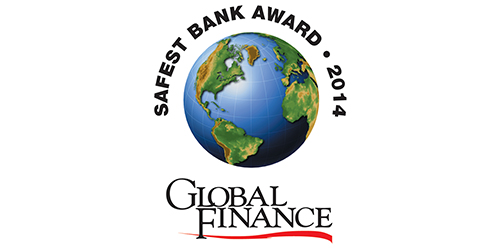 NEW YORK, Sept. 9, 2014 — Global Finance magazine has named the Safest Banks in Australasia in an exclusive survey to be published in the November 2014 issue. Banks were selected through an evaluation of long-term credit ratings—from Moody’s, Standard & Poor’s and Fitch—and total assets of the 500 largest banks worldwide. Australian banks dominate the region in terms of credit quality and asset size. The full report evaluates the safest banks in Western Europe, Central & Eastern Europe, Asia, the Middle East & Africa, North America, Latin America and Australasia. It will be published in the November issue of Global Finance.